This review originally posted at punknews.com. Modified slightly for my personal site. In fact, the last two songs on the EP seem tacked on. There's the country "Giving Up" and then a tune that many otherwise self-respecting punx seem to love for some reason: "Call Your Girlfriend". Yes, a Robyn cover. If you're expecting the weird Robyn vocal affectations or a damn electronic dance party vibe that doesn't even make sense with the lyrics, you'll be let down. This cover is the emo version of the pop sensation complete with Texas is the Reason-style guitar arpeggios. The emo is further emphasized by Weiss' delivery of the lines, chopping them off at the end like she's embarrassed of the content and then swelling up during the chorus as a couple copies of her voice back her up. It's one of those ideas that sounds good on paper, but in practice falls a little flat. I really wanted to like this record. 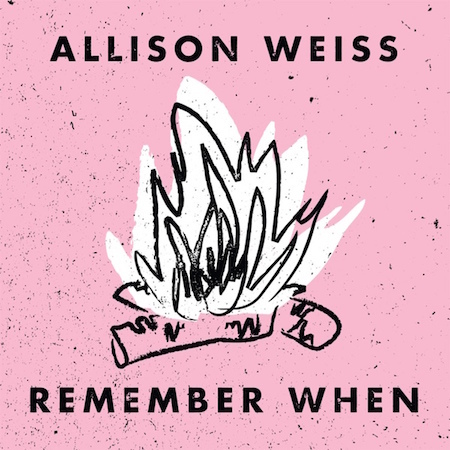 However, like most of my favorite bands, Allison Weiss is better live than in the studio.